Dwayne again did a beautiful job and was stunningly fast in doing it. Again, Amanda's crew did a amazing job! They also discussed some landscaping options the previous time they came out and will be removing the overgrown shrubs from around the front porch. Very happy with their service! We currently have no rainfall data available for Baltimore, MD. How resilient is the Baltimore housing market? An ornamental grass also known as the Blue Zinger. Also known as bluebeard, the elliptical leaves on this showy floral plant are aromic when handled. What’s Baltimore all about? People who don’t live here might think of the Inner Harbor, the Orioles, the Ravens, or perhaps, the Wire. But those of us from the area know that Baltimore is so much more, and we’re happy for out-of-towners to not know what a gem this industrial city is. We know that Baltimore has one of the finest arts scenes in the country, so much that Rolling Stone ranked B’more as the Best Music Scene in the Country. We also have Artscape - the nation’s largest free music festival. And let’s not forget Power Plant Live - probably one of the coolest local music venues there is. The city is rich with history, and though we’re proud to say Baltimore produced the Star Spangled Banner, we know the history goes far beyond Fort McHenry. With old industrial buildings turned into lofts and office space, and cobblestone roads all over the city, you feel like you’re walking through history everywhere you go. That’s not to mention the countless monuments, including the Washington Monument (no not that one in DC), Lafayette, and the Francis Scott Key Fountain. When we’re not worshiping Cal Ripken Jr., there’s a whole lot of things to do. For starters, we’ve got this big ole body of water called the Chesapeake Bay, where you can fish, crab, or windsurf til your heart's content. Patterson Park and Druid Hill park are local favorites to get outside. And if you feel like staying in the city, Charm City has Little Italy, the Inner Harbor (not just for tourists) and countless other cool areas of town. Simply put, Baltimore is too cool for you to waste your Saturdays cutting grass. That’s where LawnStarter comes in. We take the hassle out of hiring a landscaper. Rather than call a dozen different 410 numbers, hoping for one to call you back, just fill out a form online in minutes. We’ll match you with one of Baltimore’s finest lawn and landscape companies to maintain your lawn, and keep you in the loop with an easy-to-use mobile app. Additionally, you can order services like bush trimming, fertilization and landscaping with a few more clicks. It’s a time saver for sure. Ever wonder how Lieutenant McNulty had so much time to fight crime? Yeah, he used LawnStarter. So do yourself a favor, and book a mow today and get out there and enjoy what Baltimore has to offer. Lionell is the founder of Thomas&Associates Property Services LLC, a lawn care service in Baltimore. He has earned a 4.5 / 5 rating. He is rated highly for attention to detail, professionalism, and friendliness. Victonio is owner of A1 Service Group, a reputable landscaping service in Baltimore, MD. Customers have rated Victonio 4.5 /5 stars. In addition to lawn care, A1 Service Group does basic tree care, debris pickup, and more. Daquan, owner of D&E Lawncare, serves customers all over Baltimore, MD. He has earned a 4.5 / 5 star rating on the LawnStarter platform. Looking for a landscaping company that's reliable and professional? Look no further. Antwone and Chris are extremely nice. Backyard looks amazing! Hopefully the front grows more, if you advice let me know. Great work! The young man who cut my grass was not named Dwayne. Christopher always does a great job. Thanks! Great job! Very pleased. Please don't go anywhere y'all cut our yard perfectly. Thank you so much. Monique is great very thorough! service was a definite improvement from the previous contractor who was sent to service my lawn. Good job! Fast and looks great. Nice Job, Ryan! See you in two Weeks! Thanks, Ryan. Great job on taking care of our lawn as always. Finally, got a chance to meet your crew today and they were great people. Prompt, courteous, and gets the job done right. Thanks again. LawnStarter pros will let you know what your lawn needs. 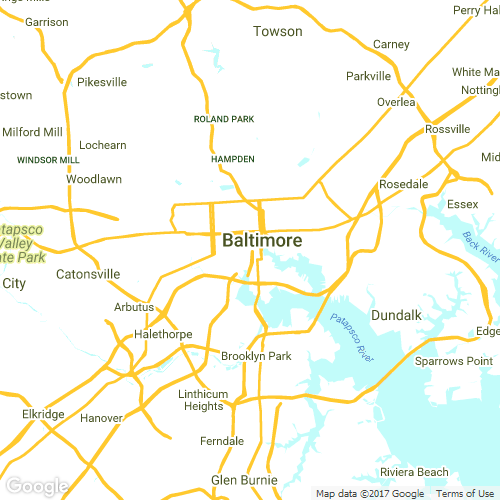 Here are some recent recommendations for extra lawn services in Baltimore, MD. Description: Front yard Trim tree off house and slightly raise canopy. This is a suggested service. Description: Full yard First time extra dirty. Thanks for choosing environmental solutions. Description: Front yard Trim bushes in front. Rake and pick up leaves in front yard. Items Needing Service: Bush in front yard. Location on Property: Front yard. Work to be Done: Possible removal. Work to be Done: Mostly have existing shrubs taken out, remulched, and nicer foliage put in I would like to remove all the stuff in the area next to the carport. Potentially place stones around it to accent. There are two small trees in the front yard that need to be removed. Along the back of the back yard, I would really like to take out all the existing bushes/trees back there, and have it be more minimal, but it depends on the cost. It's probably something I will wait for us to put a fence in to really do. Items Needing Service: leaves need to be bagged. Are there watering restrictions in Baltimore, MD? Water on an as needed basis, not on a regular schedule (this includes when using an irrigation system). Newly seeded, sodded, or lawns less than two years old, should be irrigated. Water if the grass blades begin to wilt, develop a blue-gray color, or show footprints after being walked upon (see photo above). Established tall-fescue lawns can go dormant during the summer. Dormancy is a survival mechanism. Lawns will typically recover quickly when rainfall returns, except if we experience a prolonged drought. Some reseeding may be necessary in the late summer/fall. Dormant lawns continue to protect water sources by holding soil in place and filtering potential pollutants. Do not fertilize dormant lawns and adjust mowing height accordingly. Water in the early morning, before 10 a.m. to minimize leaf wetness. Wet grass promotes disease problems. Water slowly to prevent runoff. Use a sprinkler to apply 1 inch of water to the lawn. Place a shallow can in the area being watered to monitor the amount being applied. After an inch of water collects in the can, check the soil moisture. Insert a screwdriver or other type of probe in the area. The soil should be moist 4 to 6 inches down. Frequent, shallow watering, as sometimes applied with an irrigation system, tends to keep the upper layers of soil near a point of saturation most of the time. This encourages shallow rooting, disease and insect problems. Automatic irrigation systems should be adjusted to the needs of grass plants. Does Baltimore, MD have long / overgrown grass ordinances? We have no records of city or county-mandated long grass ordinances in Baltimore, MD. However, 36% of customers in Baltimore report having overgrown grass restrictions mandated by their Homeowners association. This was my first time being serviced. Very satisfied with the front and back results. Awesome job. Best I've seen and reasonably priced. Thank you. Looking forward to working with you more. Hello, I'm a former construction worker who has found a passion for the lawn care industry. I work hard to make sure every customer is satisfied. They should be happy with my service. I take pride in my work and make sure it's done right the first time! William, owner of Leetlawncare, mows lawns all over Baltimore. He has completed 107 jobs for 30 LawnStarter customers. Customers rate him highly for quality, lawn care knowledge, and communication. 4Star Lawn Care - led by owner Brian Forestiere - has offered service in Baltimore, MD for over 11 years. Brian has completed 138 jobs for 15 customers with a 4.9 rating. Customers rate him highly for communication, attention to detail, and reliability. Carl Baker and his 3 employees have mowed lawns in Baltimore, MD for over 16 years. He has earned a 4.5 / 5 rating. He provides lawn care, bush maintenance, and lawn treatment. Vaughn's Lawn Care, owned by Charles Vaughn, is a reliable lawn care service in Baltimore. Charles has completed 141 jobs for 11 customers with a 4.9 rating. Customers have described Charles as professional, curteous, and dependable. I am a friendly and outgoing individual, a hard worker with a diverse experience set and a background in landscaping and permaculture design. I'm interested in providing high-quality care for your yard and outdoor spaces. Let me know what your specific needs and goals are for your home , and I will strive to achieve them. Thanks for considering my services! My flowerbed was cleaned exactly like I wanted it. Everything was left clean and in in top top shape. It was very hot that day, and i appreciate the hard work. Christopher, owner of Team Gutta Landscaping And Labor, LLC, provides reliable service all over Baltimore. He provides lawn cleaning and tree care as well as lawn maintenance. I'm young, motivated, hard-working, and ready to serve your home. My business TeamGutta Landscaping and Labor LLC is the key to my success, with it I support my wife and four girls. For your best lawn and labor services pick TG Landscaping. My wife and I are very pleased. We were impressed how fast they are! The lawn looks fantastic!! Going to use them from now on! Eric owns Bros Best Services, a lawn service in Baltimore, MD. Bros Best Services does basic tree care and lawn treatment as well as grass cutting.